My name is Tristan and I have been restoring a 1926 Essex over the last 6 or so years. I have stumbled upon this forum a few times whilst searching for various bits of information and figured it's about time I got on board. Looking forward to getting to know you guys. Your greeting ("G'day") and your first name, lead me to believe you are from Australia! Are you aware of the Hudson clubs, knowledgeable owners, and various resources, in both Australia and N.Z.? Here in the States, the older (pre-War) Hudsons occupy a smaller percentage of the general Hudson population than they do in your country. 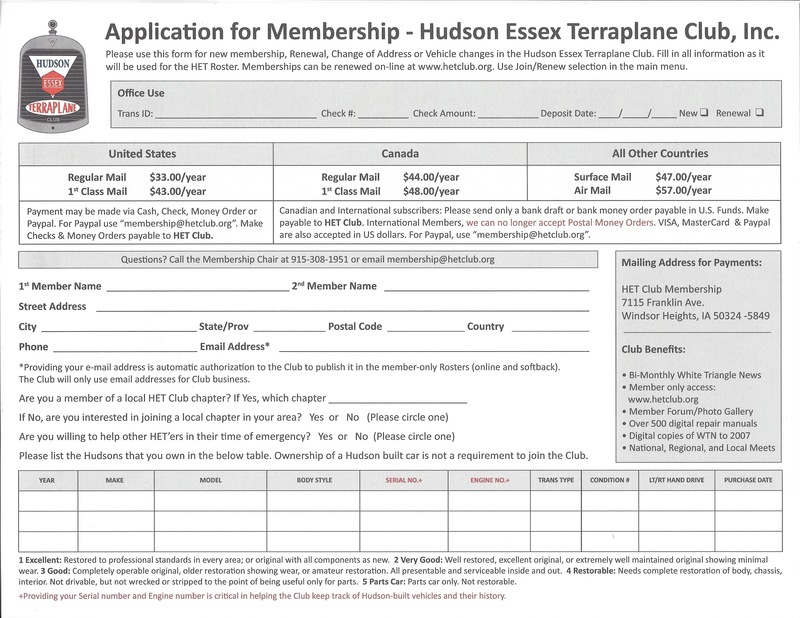 So, if you weren't yet aware of your local Hudson-Essex-Terraplane groups, you should definitely get to know them! Welcome! Get to know even more of us, there are about 2,800 of members worldwide. Join the club at HETCLUB.ORG , you'll be glad you did. Hi Jon, you are correct I am indeed from Australia S.E. Melbourne to be a tad more precise. I was a member of my local HET club for a couple of years however with life getting busier and I ended up losing touch with them. I must get back in touch with them and I should probably join the HET club while I'm at it too!